This is the hardest kind of listening. / And who will care? / Most do not. / It’s all applause, / applause applause. / How is it possible / to ask for more than that? 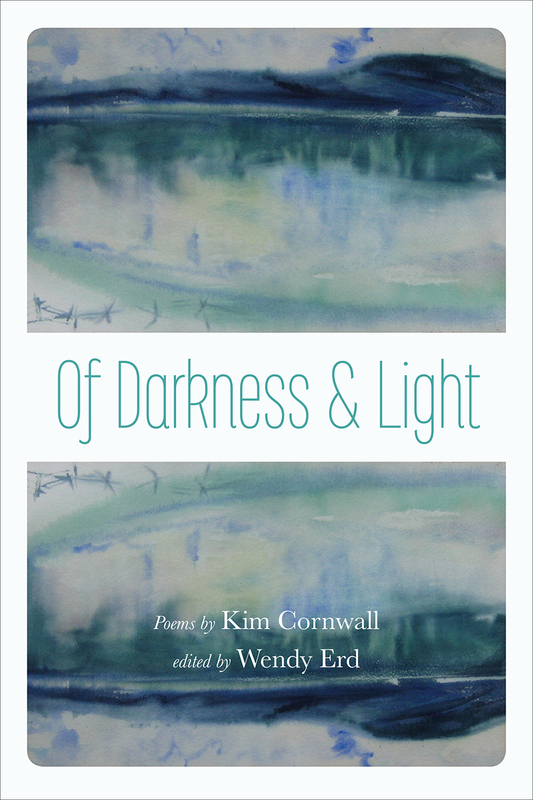 An honest work, stunningly passionate: Kim Cornwall’s spirit-infused poetry weaves family and myth—strong women, wild landscapes, the search for reconciliation in circumstances beyond control—in a radiant language of pain, solace, wonder, and gratitude. This remarkable first and last collection of poetry celebrates and chronicles the borderless area between joy and suffering, like breath after long submersion: for one must breech the surface/where what we most need/ lives.